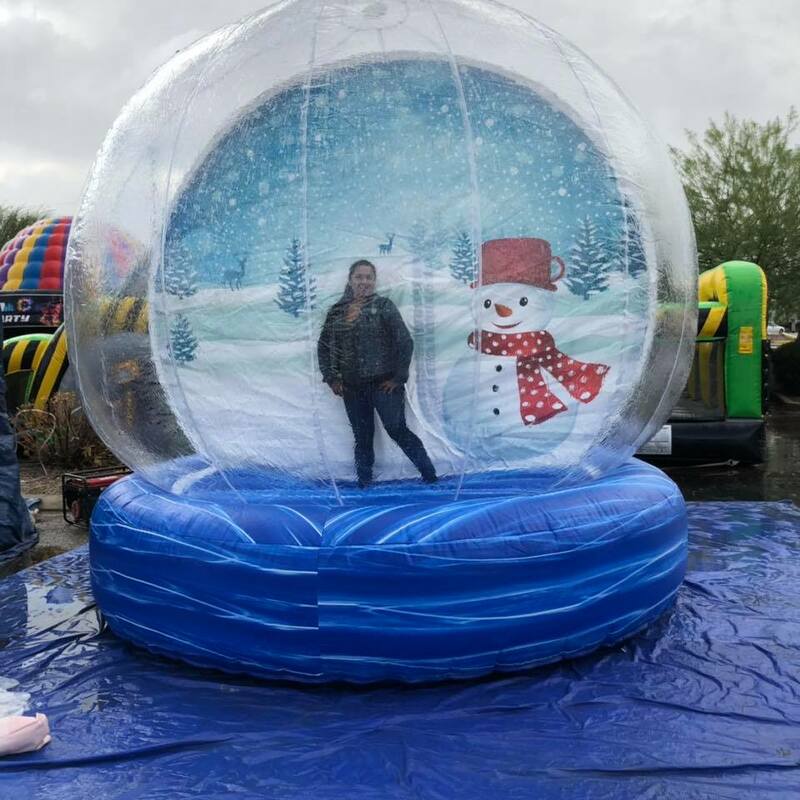 Snow Globe 12ft | AZ Jolly Jumpers Party Rentals | inflatable rentals in Scottsdale, Arizona. 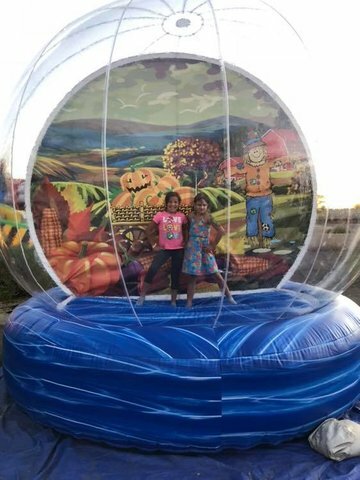 The Human walk in snow globe will be the biggest attraction at your party or event! Large 12ft snow globe is perfect for church, corporate events, and Holiday parties. The large snow globe in is $599.00 for 3 hours and an additonal $199.00 per hour after. We also offer custom back grounds to add that special touch.